As a family foundation, McKnight is governed by a board of up to 12 that includes directors who are descendants of the founders as well as community (i.e., non-family) directors. In identifying new community board members, McKnight’s board considers prospective directors’ skills and experience, as well as how those skills will complement expertise already on the board. Community members serve three-year terms; a one-year hiatus is required after three terms in a row. The board of directors has chartered five committees to assist it in fulfilling its duties: Audit/Finance Committee (budget, annual audit, financial review), Executive Committee (support for chair, annual president’s review, and critical action between board meetings), Governance Committee (board composition and effectiveness), Investment Committee (investment and fiduciary matters), and Mission Investing Committee (impact investing opportunities, MDIs, and PRIs). The McKnight Foundation aims to maintain a consistent, fair, and competitive total compensation program that attracts, and retains a highly qualified staff to advance the mission of the Foundation. The Foundation uses compensation and benefit data from private foundations with asset size in a reasonable proximity to the assets of McKnight as benchmark organizations. While the Foundation acknowledges that potential conflicts of interest may occur from time to time, we make every effort to manage them through full disclosure. Among other procedures, all McKnight board and staff members are required to complete a Conflict of Interest Statement every year. The Conflict of Interest Statement will identify relationships that may lead to an actual or perceived personal or grantmaking conflict. The Foundation President, the senior leadership team, and the board of directors will review a summary of the completed Conflict of Interest Statements. If you have actual or perceived personal or grantmaking conflicts of interest you should disclose them and recuse yourself from discussions and decision making involving these parties. Such disclosure and recusal should be noted in meeting minutes, whenever possible. Similarly, when discussions regarding the Foundation occur within an organization with which a staff or board member has an affiliation, the staff or board member should recuse themselves from such discussions. In general, program staff and their immediate family members are discouraged from personal affiliations with grantee or potential grantee organizations within their program area’s grantmaking portfolio. The McKnight Foundation is committed to diversity, equity, and inclusion as core values. Diversity: We appreciate and leverage our differences; and we involve and reflect the communities we serve. This commitment is critical to deepening our relevance, credibility, and effectiveness, and it will strengthen our efforts to improve the lives of present and future generations. The civic and economic vitality of our home state of Minnesota, known as Mni Sota Makoce by the Dakota, depends on inclusive and equitable opportunities for everyone. McKnight’s most recent financial statements, annual audit, and tax information can be found here. McKnight’s Investment Policy Statement is available here. McKnight has systems in place for employees to raise issues through internal channels and via a confidential hotline. McKnight Foundation is committed to the highest standards of openness, probity, and accountability. An important aspect of accountability and transparency is a mechanism to enable you and other employees to voice concerns in a responsible and effective manner. The Public Interest Disclosure Act, which came into effect in 1999, gives legal protection to employees against being dismissed or penalized by their employers as a result of publicly disclosing certain serious concerns It should be emphasized that this policy is intended to assist individuals who believe they have discovered malpractice or impropriety. It is not designed to question financial or business decisions taken by the Foundation nor should it be used to reconsider any matters which have already been addressed under harassment, complaint, disciplinary, or other procedures. If possible, the Foundation asks that you voice your complaint internally and give the Foundation a chance to address it. If that is not possible, please utilize the confidential hotline. Follow this link for information on how to access the hotline and what you can expect once you have shared a concern. This policy is designed to enable you or other employees to raise concerns internally and at a high level and to disclose information which you believe shows malpractice or impropriety. This policy is intended to cover concerns which are in the public interest and may at least initially be investigated separately but might then lead to the invocation of other procedures e.g. to an appropriate person (see below). No employee will be retaliated against for making a good-faith report of the violation of a federal, state, or local law or rule to Foundation management or to a law-enforcement or other government agency. b. Confidentiality. McKnight Foundation will treat all such disclosures as confidentially as possible. c. Anonymous Allegations. This policy encourages individuals to put their name to any disclosures they make. Concerns expressed anonymously are difficult to investigate. The Foundation encourages employees with good-faith belief of the violation of a federal, state, or local law or rule to report this knowledge to the VP of Operations unless the complaint is against the VP of Operations or is in any way related to the actions of the VP of Operations. In such cases, the complaint should be passed to the VP of Finance and Compliance or the President. Due to the varied nature of these sorts of complaints, which may involve internal investigators and/or the police, it is not possible to lay down precise timeframes for such investigations. The investigating officer should ensure that the investigations are undertaken as quickly as possible without affecting the quality and depth of those investigations. 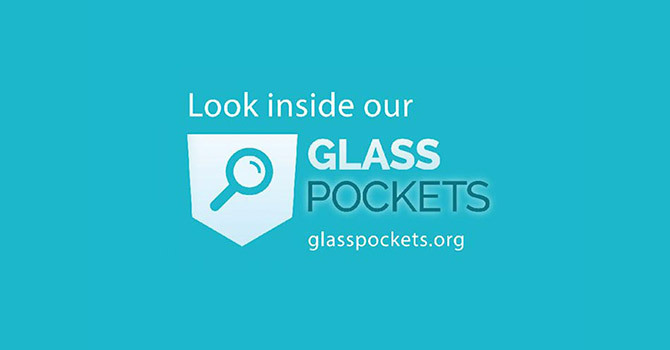 Along with more than 90 other foundations, the McKnight Foundation is part of the Glasspockets Initiative, which champions greater openness from the field of philanthropy. Here, we present our governance policies and practices.